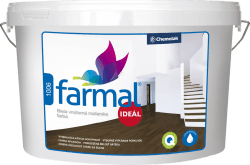 is used for coating of interior walls, plasters, dry masonry, plasterboards, spattered bases etc. The final coating is characterized by excellent opacity, very good application properties and vapour permeability. The coating creates deep matt appearance and is able to even up slight base irregularities.